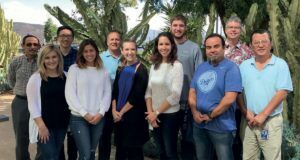 Dart NeuroScience is one of the largest privately owned biotech companies in San Diego with around 250 employees – and we have an interesting focus: memory. More specifically, our aim is to develop new technologies and therapies that can maintain or improve memory function and cognitive vitality. Much of our research is built on the work of Tim Tully, who was a professor and Head of the Division of Neurogenetics at Cold Spring Harbor Laboratory in New York before founding Dart NeuroScience – he’s now our Executive Vice President of R&D and Chief Scientific Officer. In brief, Tully discovered the important role that the CREB gene plays in the formation of long-term memory; our target compounds aim to modulate that CREB pathway. I’ve worked in the pharmaceutical industry for more than 15 years – starting at Hoffmann-La Roche in Switzerland before moving over to the US to join Sanofi-Aventis and then Cephalon/ Teva. I joined Dart NeuroScience in 2011 to help build the Structure Guided Chemistry department – an essential component of our ambitious program. Adding 90,000 novel candidates to our compound collection each year is challenging. For each compound, we begin with structural information provided by the chemical design team and develop the chemistry to synthesize an array of compounds. When the synthesis development phase is completed, it is passed to the library synthesis team, who not only synthesize the compound but also perform preliminary quality control to guide purification. Next, the purification and separation team conduct all the necessary purification steps and perform a final quality control step before the pure compound (typically around 13 mg) is added to our compound collection. At that point, the compounds are available for biological assay tests or high-throughput screening projects. The team at Dart NeuroScience. Clearly, purification and QC testing are critical steps of the whole process. And using the right analytical tools is key. Right at the beginning, as I noted earlier, we perform preliminary QC on the whole crude compounds. Based on those results, our analysts – through a semi-automated workflow – confirm which compound will be the focus of the purification process. After purification another QC step is performed as the compound is transferred from the fraction tubes to the corporate vial, where it is stored in a DMSO stock solution. Here, a final QC step provides the data that is linked to the compound in the library. Our platform is about 75% SFC and 25% (HP)LC. SFC is our predominant method because it’s faster and more cost effective; in purification, we’ve found that SFC allows pooled fractions to be dried down about 10 times faster than HPLC and reduces solvent use and waste by a third – you can read more here. The introduction of ACQUITY UPC2 was a game-changer for us, because it allows us to analytically support SFC purification. All of our separation instruments are hyphenated with mass spectrometry, which we use to complement UV and evaporative light scattering detection (ELSD). Our MS systems are a mixture of older single-quadrupole instruments, such as the SQD and SQD2, and several newer ACQUITY QDa mass detectors. 14 In terms of performance and reproducibility, the SQ detectors and ACQUITY QDa are comparable. And both detectors are fully compatible with our UPLC and SFC techniques, which is clearly essential. We use the ACQUITY QDa with our Waters Prep 100q SFC System – an open-bed collection MS-directed system – and in our ACQUITY UPLC and UPC2 analytical platforms, which gives us confidence across the whole platform. Dart NeuroScience’s examples of using mass detection during their different stages of compound analysis and separation. For our application, we simply don’t need all the capability of advanced MS systems, so I was very pleased when the QDa detector came onto the market. Almost immediately, we tested its capability, found that it met our needs and invested. Importantly, the ACQUITY QDa is capable of doing an auto-calibration and automated resolution verification; at the push of a button, the instrument is quickly up and running, and we are assured of data reproducibility. That’s a major difference for the user – there are few parameters that must be defined, which makes mass spectrometry much simpler. And if you need to train a new scientist, there is little training to be done. Chromatographers who may have been hesitant to use mass detection in the past should probably revisit the option. We run thousands of purifications and analyses each month – all instruments are running 24/7 – so maintenance is always a key concern. We’re pushing everything to the limit; I guess we’re the perfect test lab for instrument robustness tests! Fortunately, the ACQUITY QDa requires very little maintenance; there are very few parts that need to be changed – but, for those that do, the job is virtually foolproof. A couple of pragmatic points: first, the ACQUITY QDa can run on a 110-volt supply (particularly important here in the USA). It may seem like a trivial thing but, with other systems, putting in additional higher voltage lines is another cost added to infrastructure. The QDa just plugs into a regular socket, which is very convenient. I’ll also add that it’s surprisingly quiet, which should not be taken so lightly – good laboratory design should always take the noise factor into account. Indeed, if the ACQUITY QDa had been available when we first built our purification and analytical platforms, I would have had no hesitation in using ACQUITY QDa systems throughout – perhaps a few with the high performance pump for added flexibility in terms of sensitivity. For general applications, especially in small molecule analysis, the ACQUITY QDa is the mass detection instrument of the future. I for one would welcome the approach that Waters has taken with the ACQUITY QDa for our whole platform. SFC has seen some serious breakthroughs in the last few years, several from Waters – and I hope they continue innovating in this area. Making all instrumentation robust, low maintenance, and more accessible to a wider group of users can only be a good thing when it comes to our kind of workflow. The ACQUITY QDa Detector is a huge step forward in this regard and could well revolutionize analytical chemistry – and the use of MS – in many laboratories. 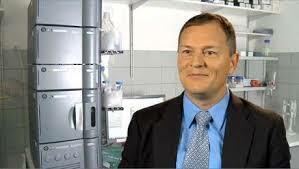 Gerard Rosse is the Associate Director, Structure Guided Chemistry at Dart NeuroScience, San Diego, California, USA.